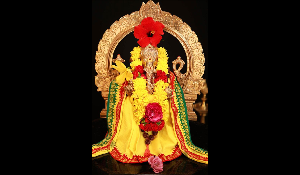 Sri Ganesa ashtottara puja, stotrams and bhajans, arati, prasadam. The Bala Vihar students will be able to perform guided Ganesa puja with family. This entry was posted in Archive on August 30, 2016 by admin.